The whirl of the holiday season is well underway with the chaos of crowded shops, busy weekends, and the decorations and baking galore. This time of year is touted as the season of giving, a time of excess, celebration, family, friends, and joy. Its cold outside, well here in the Northeast at least, and twinkling lights and steaming cups of hot cocoa create a sense of cozy comfort worthy of a Norman Rockwell painting. Fall and winter are my favorite times of year. The lead into the holiday season as the weather cools off, the excuse to spoil those I love with yummy baked treats and gifts chosen for their unique interest, and the cozy feeling of being tucked under a blanket in a warm home at the end of each day. All of it makes me feel content and grateful for the life I have. This year my husband and I were able to host Thanksgiving and with my mom’s help, we pulled off a full feast for family and friends. We sat, we ate, and we talked. We had a wonderful time. My little one had turkey for the first time; though to no one’s surprised the sweet potato casserole was his favorite. After the day ended, my dad commented to me that he missed going around the table to say what we were thankful for. Something I hadn’t even noticed we skipped because reflecting over what I’m thankful for is a mental exercise I engage in often. Gratitude is a powerful concept that, like laughter, can impact mental health. The Greater Good Science Center at UC Berkeley has studied the impacts of gratitude and found lasting effects on the brain and can help break the hold of negative emotions over one’s outlook. Through their work they found that reflecting on reasons to be grateful were beneficial even when those reflections were kept private. Practicing gratitude doesn’t cost money, doesn’t have to be an elaborate or time-consuming ritual, and can be done in the privacy of one’s own mind. It’s a powerful yet simple act that anyone can use to impact his or her wellbeing. It’s important to note that UC Berkeley’s study found that gratitude is not a magic wand. The effects accrued over time with the on-going practice of writing gratitude letters. Even with this caveat it’s encouraging to know that a small act like practicing gratitude can over time have a cumulative positive impact on our wellbeing. 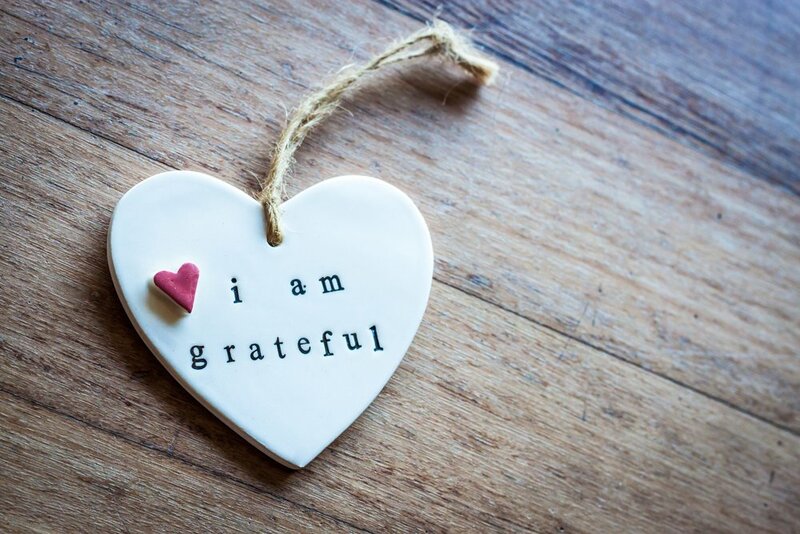 If you want to learn more benefits of gratitude, check out Psychology Today’s article 7 Scientifically Proven Benefits of Gratitude. So if gratitude can be so impactful, what are some ways to practice this in our daily lives? Harvard Health Publishing of Harvard Medical School gives several suggestions including writing thank you notes, thanking someone mentally, counting your blessings, and keeping a gratitude journal. I hope that gratitude permeates this holiday season and inspires us all to count our blessings throughout the year.